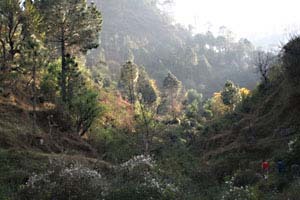 November 2008 religious leaders visited the area. They had good discussions with the villagers. 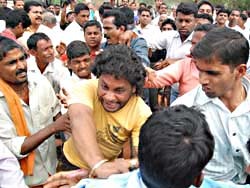 At once a criminal, working for the constructor, attacked the visitor and several tribals. 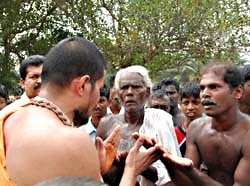 (seer = religious leader) "MANGALORE, November 17, 2008. 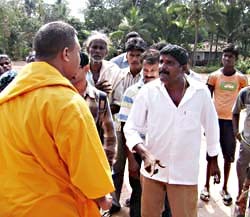 Tension prevailed in the disputed Kudubi Padavu area, about 25 km from here, when a group of people resorted to violence during the visit by a team led by Vishwesha Thirtha Swamiji of Udupi Pejawar Math. 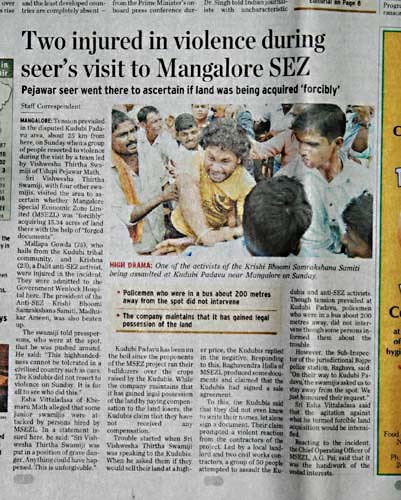 Sri Vishweha Thirtha Swamiji, with four other swamijis, visited the area to ascertain whether Mangalore Special Economic Zone Limited (MSEZL) was 'forcibly' acquiring 15.34 acres (2.5 acre = ha) of land there with the help of 'forged documents'. Mallapa Gowda (75), who hails from the Kudubi tribal community, and Krishna (23), a Dalit anti-SEZ activist, were injured in the incident. They were admitted to the Government Wenlock Hospital here. The president of the Anti-SEZ Krishi Bhoomi Samrakshana Samiti (Agriculture Land Protection Committee), Madhukar Ameen, was also beaten up. (..) Kudubi Padavu has been on the boil since the proponents of the MSEZ project ran their bulldozers over the crops raised by the Kudubis. While the company maintains that it has gained legal possession of the land by paying compensation to the land losers, the Kudubis claim that they have not received any compensation. Trouble started when Sri Vishwesha Thirtha Swamiji was speaking to the Kudubis. When he asked them if they would sell their land at a higher price, the Kudubis replied in the negative. Responding to this, Raghavendra Holla of MSEZL produced some documents and claimed that the Kudubis had signed a sale agreement. To this, the Kudubis said that they did not even know to write their names, let alone sign a document. Their claim prompted a violent reaction from the contractors of the project. Led by a local landlord and two civil works contractors, a group of 50 people attempted to assault the Kudubis and anti-SEZ activists. Though tension prevailed at Kudubi Padavu, policemen who were in a bus about 200 metres away, did not intervene though some persons informed them about the trouble." 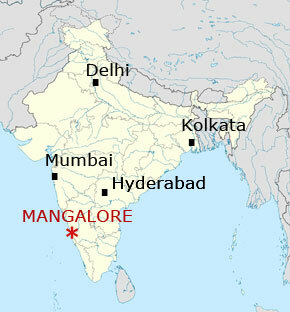 "MANGALORE, November 18, 2008. (..) A protest was organised by the villagers of Kudubipadavu and other forums, including Krishi Bhoomi Samrakshana Samiti (KBSS, Agriculture Land Protection Committee) to condemn the Sunday's attack on villagers and activists allegedly by the MSEZL contractors' men in front of seers. (..) Villagers of Kudubipadavu told the Deputy Commissioner (DC) that the Karnataka Industrial Area Development Board authorities had forged their land documents and a cquired lands using force. 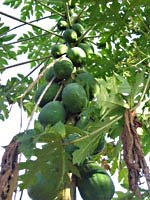 They told the DC that they wanted to continue cultivation in their lands. 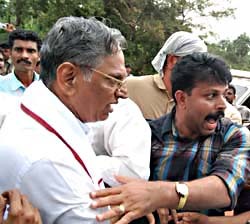 (..) KBSS urged the Inspector General of Police (IGP) to take action against miscreants, who assaulted villagers and activists on Sunday at Kudubipadavu. 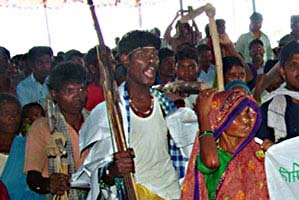 The samiti alleged that Bajpe police instead of taking action against miscreants had filed cases against villagers. They also urged the IGP to instruct police not to register false complaints against villagers without proper enquiry."